Anchorwoman and sportscaster Leeann Tweeden said Thursday that comedian Al Franken kissed and groped her without her consent during a USO tour in December 2006. 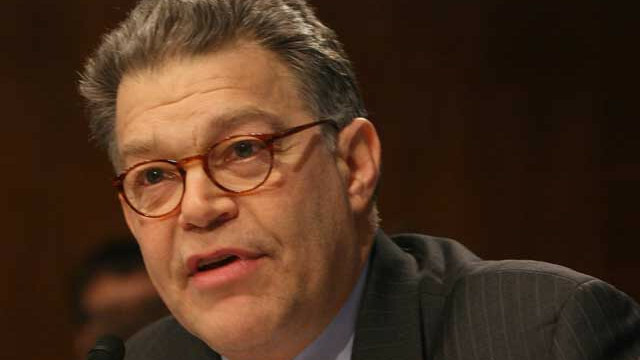 Franken, who is now the junior Democratic senator from Minnesota, was headlining the event. Tweeden was emceeing. Tweeden said Thursday that she knew ahead of time that Franken had written a skit where his character tries to kiss her. She finally relented, she said: We did the line leading up to the kiss and then he came at me, put his hand on the back of my head, mashed his lips against mine and aggressively stuck his tongue in my mouth. I immediately pushed him away with both of my hands against his chest and told him if he ever did that to me again I wouldn’t be so nice about it the next time. I walked away. All I could think about was getting to a bathroom as fast as possible to rinse the taste of him out of my mouth. I felt disgusted and violated. I’ve decided it’s time to tell my story. She did end up performing the skit as written, she continued, turning her head away while on stage so Franken couldn’t kiss her. When she was on her way home to Los Angeles, she said she fell asleep on the plane. While she slept, Franken grabbed her breasts and had a photo taken. “I couldn’t believe it. He groped me, without my consent, while I was asleep,” she wrote. “I felt violated all over again. Embarrassed. Belittled. Humiliated. How dare anyone grab my breasts like this and think it’s funny?” Franken’s office did not immediately respond to a request for comment Thursday. An Ethiopian Airlines flight carrying more than 150 people crashed early Sunday shortly after departing from the Ethiopian capital, Addis Ababa, en route to Nairobi, Kenya, the airline said, killing everyone onboard. The plane was identified by its manufacturer, Boeing, as one of its newest models, a 737 Max 8. The cause of the crash was unclear, but a Lion Air flight using the same model of plane went down in Indonesia in October and killed 189 people. Officials are investigating whether changes to the Max 8’s automatic controls might have sent that flight into an unrecoverable nose-dive. The airline said the 737 had been subjected to a “rigorous” maintenance check in February. Flight 302 was carrying passengers from at least 35 countries, according to the airline. 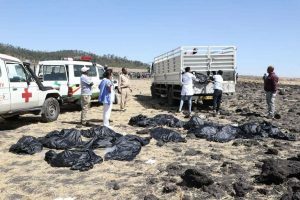 The dead included 32 Kenyans, 18 Canadians, nine Ethiopians, eight each from the United States, China and Italy, and seven each from France and Britain, the airline said. Serbia’s Foreign Ministry said one citizen, a staff worker for the United Nations World Food Program, had died. 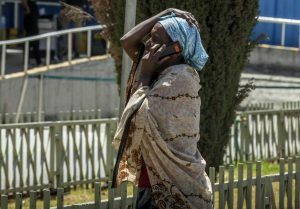 The office of Abiy Ahmed, the Ethiopian prime minister, expressed on Twitter “profound sadness at the loss of life,” as did President Uhuru Kenyatta of Kenya. 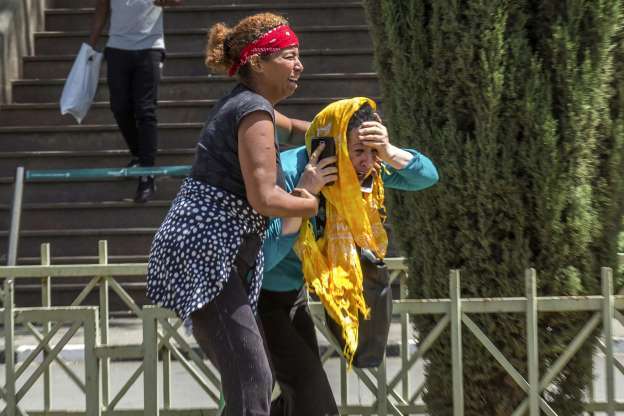 The Ethiopian House of People’s Representatives declared Monday a national day of mourning. 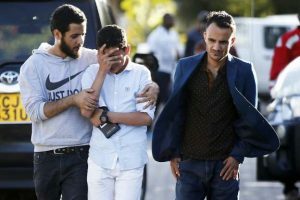 The airline said in a statement that 149 passengers and eight crew members were aboard the flight. The United States Embassy in Addis Ababa confirmed that Americans were on board and said it was working with the Ethiopian government and the airline to determine their identities. The U.S. Embassy is aware of the crash this morning of Ethiopian Airlines flight ET302. We extend our sincerest sympathies to all who are impacted by this tragic event. The flight on Sunday took off in good weather from Bole International Airport in Addis Ababa at 8:38 a.m. local time and lost contact six minutes later, the airline said. The plane went down near Bishoftu, about 35 miles southeast of Addis Ababa. Images from the vast crash site revealed a grim tableau. 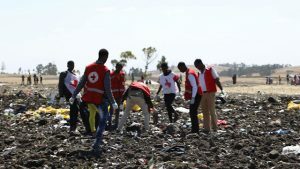 Workers loaded body bags into a truck, while plane fragments and various items from the flight — cigarettes, shoes, napkins with the Ethiopian Airlines logo — were scattered across the field. Tewolde GebreMariam, the chief executive officer of Ethiopian Airlines, said at a news conference that the pilot had sought and had been given clearance to return to the airport in Addis Ababa after reporting difficulties. Mr. GebreMariam said that it was too early to determine a cause or rule anything out, adding that a team from the National Transportation Safety Board in the United States would be arriving shortly to work with civil aviation authorities in Ethiopia and officials from Boeing. 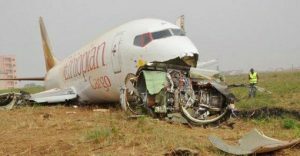 “Ethiopian Airlines is very, very highly regarded; it’s part of the Star Alliance,” Graham Braithwaite, a professor of safety and accident investigation at Cranfield University in Britain, said by phone on Sunday. The lead investigation will start in the country where the crash happened, Ethiopia, he said, but other countries will also be involved — Kenya and the United States, independently of Boeing, because the aircraft was made in the United States. The priority will be to make sure there is no link between the crashes in Ethiopia and Indonesia, and other countries and airlines will no doubt be watching closely. The plane is “the most populous aircraft out there,” he added. 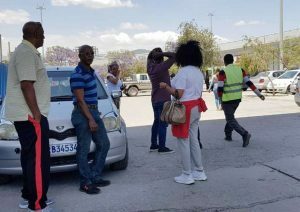 Relatives anxiously waited for news, as journalists from around the world descended on Jomo Kenyatta International Airport in Nairobi. At least three buses carrying family members left the airport for a nearby hotel, and emergency responders were shielding them from the press. The Kenyan transport secretary, James Macharia, said his country was setting up two emergency response centers to assist those who had friends and relatives on the flight. There has not been a crash involving Ethiopian Airlines since January 2010, when a Boeing 737 crashed into the Mediterranean Sea shortly after it took off from Beirut, Lebanon. None of the 90 people onboard that flight — 82 passengers and eight crew members — survived. The latest known accident involving the airline was in January 2015, when a Boeing 737-400 cargo aircraft veered off the runway with flat tires after it landed in Accra, Ghana. None of the three crew members onboard were injured. The Lion Air Max 8 in Indonesia was a brand-new plane, like Ethiopian Airlines Flight 302, which was delivered to the African carrier late last year, according to websites that track commercial fleet updates. The flight took off in good weather, but the vertical speed of Flight 302 had been unstable after takeoff, fluctuating wildly, according to data published by FlightRadar24 on Twitter. In the first three minutes of flight, the vertical speed varied from 0 feet per minute to 1,472 to minus 1,920 — unusual during ascent. “During takeoff, one would expect sustained positive vertical speed indications,” Ian Petchenik, a spokesman for FlightRadar24, said in an email on Sunday. Crashes involving new planes in good weather are rare. The Lion Air accident also involved a plane that crashed minutes after takeoff and after the crew requested permission to return to the airport. Investigations by the Indonesian and American aviation authorities have determined that the Lion Air plane’s abrupt nose-dive may have been caused by updated Boeing software that is meant to prevent a stall but that can send the plane into a fatal descent if the altitude and angle information being fed into the computer system is incorrect. The change in the flight control system, which can override manual motions in the Max model, was not explained to pilots, according to some pilots’ unions. Global alerts were sent to notify pilots flying the Max about how to counter the anti-stall system. Ethiopia, with about 100 million people, is the second-most populous nation in Africa. After elections in March, the new prime minister has embarked on a series of political reforms, chiefly to officially end two decades of hostilities with neighboring Eritrea, a longtime rival. The country’s flagship carrier has undergone a major expansion in past years, more than doubling its staff to 11,000 employees in the past decade, with the goal of easing air travel in a part of the world where flying is notoriously complicated. For instance, it added nonstop flights from Newark to Lomé, Togo, a hub for the airline, that then continued on to Addis Ababa. In West Africa, Ethiopian is the technical and strategic partner for a relatively new airline, Asky, created with investment from the Economic Community of West African States. Asky offers a web of cross-border flights in West and Central Africa and connects with Ethiopian flights to expand its reach across the continent and beyond. In Africa, Ethiopian has a reputation for having a newer fleet than other airlines, for operating flights that are mostly on time and for having accommodating schedules. The airline has ordered 30 Boeing 737 Max jets, with the first being delivered last year. It currently has five of the models in its fleet, according to FlightRadar24. Chinese news websites said that the eight Chinese killed on the flight included tourists and business people. One was Zhou Yuan, a worker for the China Electronics Technology Group Corporation, which sells electronics, communications and security technology for civilian and military needs, the Beijing News reported, citing a press officer for the corporation. Ethiopia and Kenya have drawn growing numbers of Chinese investors and tourists in recent years. The casualties may also include people from Hong Kong or Taiwan, whom China counts as its own citizens. Ms. Freeland added that the Canadian government was in close contact with the Ethiopian authorities to gather additional information as quickly as possible. 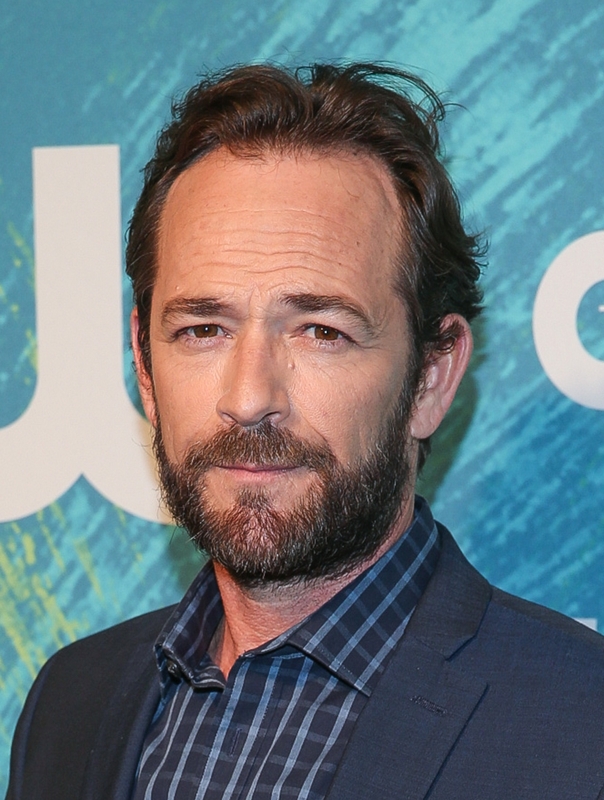 Luke Perry, who played the beloved Dylan McKay on the hit coming-of-age series “Beverly Hills 90210,” has died. Perry, 52, died Monday after suffering a massive stroke, his publicist Arnold Robinson told news outlets. 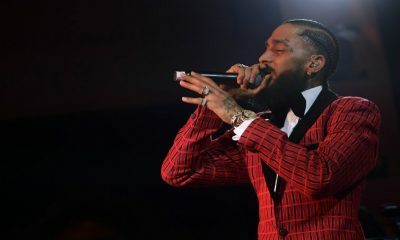 “He was surrounded by his children Jack and Sophie, fiancé Wendy Madison Bauer, ex-wife Minnie Sharp, mother Ann Bennett, step-father Steve Bennett, brother Tom Perry, sister Amy Coder, and other close family and friends. The family appreciates the outpouring of support and prayers that have been extended to Luke from around the world, and respectfully request privacy in this time of great mourning. 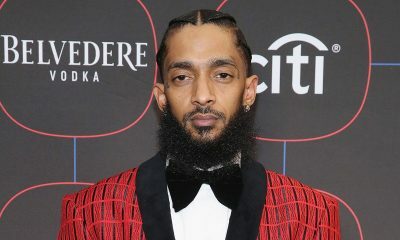 No further details will be released at this time,” a statement from Robinson read. 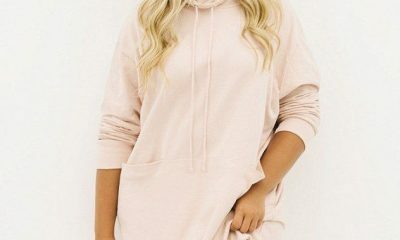 Born Coy Luther Perry III in Mansfield, Ohio, and raised in the small community of Fredericktown, Perry moved to Los Angeles to pursue acting soon after graduating from high school. There he worked a series of odd jobs as he tried to break into the business. The Big Apple beckoned in 1988 after he scored an appearance as Ned Bates on the soap opera “Loving,” which required him to move to New York City. In 2013 during an appearance on the radio show “Sway in the Morning,” Perry said it took him 256 auditions before he scored his first gig. 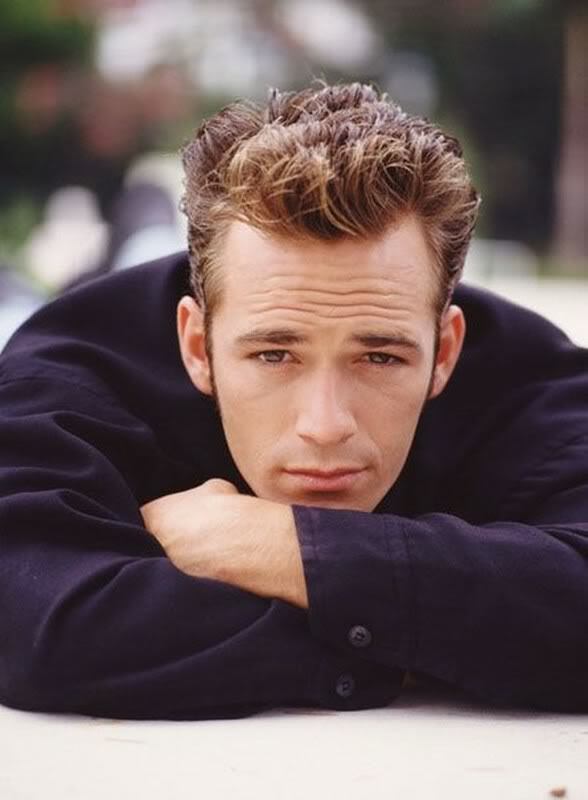 But it was his role as seemingly bad boy Dylan McKay on Fox’s “Beverly Hills 90210” in 1990 which shot Perry into the atmosphere. 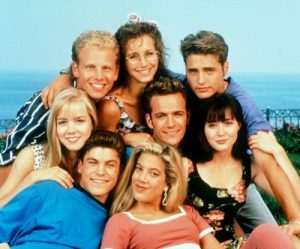 The series was both wildly popular and also criticized because of its willingness to take on topics such as teens being sexually active. Perry’s character was so popular among fans that in 1991 an expected crowd of 2,000 at a Florida mall turned into a stampede of 10,000 when he appeared at an autograph signing. Several people were hospitalized and the mall was forced to shut its doors after the chaos. The actor famously left the show in Season 6, seeking to break away from the Dylan character, but returned in Season 9. Perry also appeared on the big screen with roles in films including “Good Intentions,” “Red Wing” and “Buffy the Vampire Slayer,” which later became a hit television series. More recently, Perry took on the role as Archie Andrews’ father Fred in the hit CW drama “Riverdale,” based on the characters from the Archie comics. Perry married “Teen Wolf Too” actress Rachel Sharp in 1993 and the couple welcomed son Jack and daughter Sophie. They divorced a decade later. This is an ongoing development, so please keep check with Prestige for updates.